Today, when you order "Juggling - From Antiquity to the Middle Ages", you'll instantly be emailed a Penguin Magic gift certificate. You can spend it on anything you like at Penguin, just like cash. Just complete your order as normal, and within seconds you'll get an email with your gift certificate. As with dance, so with juggling—the moment that the performer finishes the routine, their act ceases to exist beyond the memory of the audience. There is no permanent record of what transpired, so studying the ancient roots of juggling is fraught with difficulty. Using the records that do exist, juggling appears to have emerged around the world in cultures independent of one another in the ancient past. Paintings in Egypt from 2000 BCE show jugglers engaged in performance. Stories from the island nation of Tonga place juggling’s creation with their goddess of the underworld—a figure who has guarded a cave since time immemorial. Juggling games and rituals are pervasive in isolated Inuit cultures in northern Canada and Greenland. Though the earliest representation of juggling is 4,000 years old, the practice is surely much older—in the same way that humans were doubtlessly singing and dancing long before the first bone flute was created. This book is an attempt to catalogue this tangible history of juggling in human culture. It is the story of juggling, represented in art and writing from around the world, across time. Although much has been written about modern jugglers–specific performers, their props, and their routines–little has been said about those who first developed the craft. As juggling enters a golden age in the internet era, Juggling: From Antiquity to the Middle Ages offers a look into the past—to the origins of our art form. 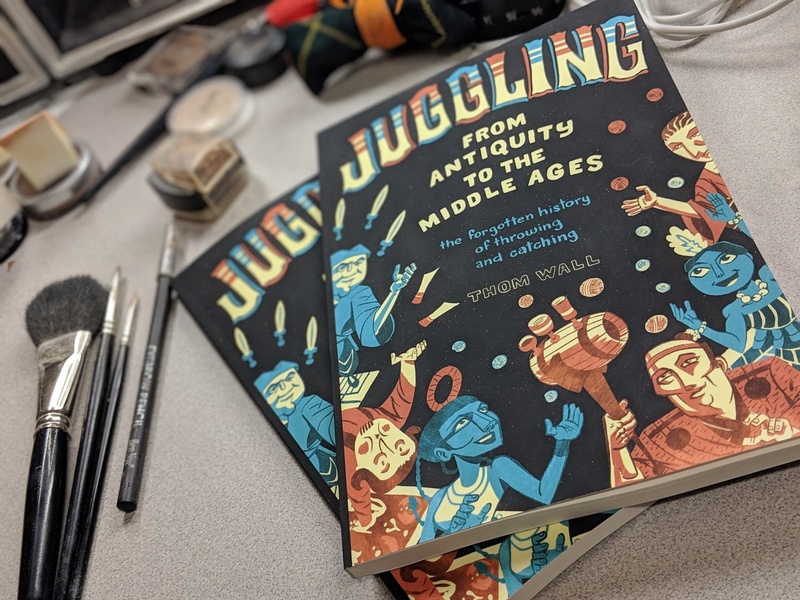 "A scholarly approach to [the history of juggling that] takes on a lively feel through embellishments and discussions that successfully relate juggling skills and approaches to wider examinations of social organization, skills development, and cultural evolution. Jugglers especially (but general-interest audiences, as well) will appreciate the surprising accessibility and depth in Juggling – From Antiquity to the Middle Ages: The Forgotten History of Catching and Throwing, a primer packed with unexpected insights and an exquisitely involving attention to detail." 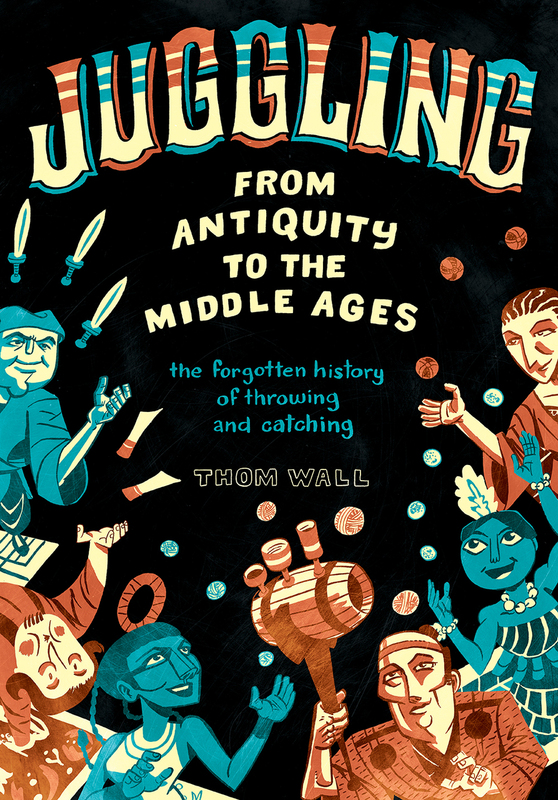 Juggling: From Antiquity to the Middle Ages is an incredible resource to anyone interested in the history of juggling. Thom Wall has filled in many gaps to the documented history of the art.This is the juggling history book that I’ve been waiting for.